Sharing cultural diversity is at the heart of everything we do. Aberdeen Multicultural Centre is committed to celebrating the many ethnic communities there are in Aberdeen and the North East of Scotland. One of the key avenues to do this is through cultural sharing and performing arts. 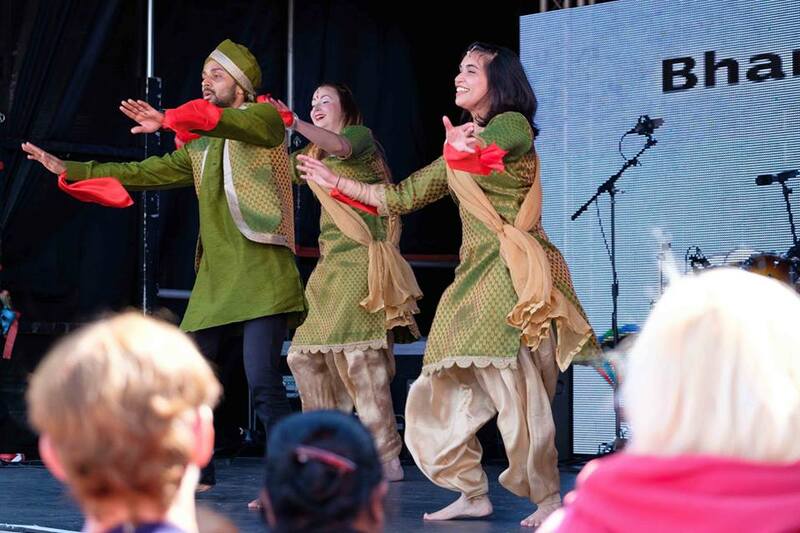 Aberdeen Mela – One World Day is a wonderful platform and showcase for this with performers coming from across the region, Scotland and the rest of the UK. With a mix of professional artists and community performers the programme, across each stage, will be varied and highly entertaining. We are always looking for professional and non-professional artists for Aberdeen Mela – OWD and other events that showcase the rich and diverse people and communities that make up the North East of Scotland and the UK. The 515 Crew are the leaders in Live Bollywood and alternative British Asian Music. The 5 musicians are a widely recognised brand within the British Asian Music Industry. A funk-rock band, from the growing Aberdeen Polish cultural community, with a sharp and dynamic sound unlike any other band. A four piece Aberdeen based polish band playing all kinds of good music across lots of cultural & artistic styles. A group of five girls from the North East of Scotland, each with a different style and tone continue to put their own spin on classic gospel songs. The crew are gaining a growing reputation as performers and tutors as they grow the number of gigs they are asked to do and numbers attending their classes. Based in Edinburgh Bails Venezula are a wonderful and energetic Latin dance, well known for there joropo and Afro -Venezualan dances. The whackiest bunch of street-drumming maniacs you are likely to encounter just about anywhere. They regularly feature at festivals throughout Scotland. Desi Scots- our own Aberdeen Bollywood dance group. They provide Bollywood dance classes for adults and kids, events performances and workshops for all level of dancers. Glasgow's own Bollywood Dance Group, a fantastic fusion of Classical, Folk and Western Dance! Offer classes, performances for events and workshops for aspiring dancers of all levels. The Melting Pot Collective is a band of multicultural fusion. Diverse and dynamic, they bring people together from all different cultures and backgrounds. KalaSangam Aberdeen is a school of performing arts providing training on Indian Classical Dance, Kathak, Art and North Indian Classical Vocal.